Tired of spending your precious travel funds and time on boring dust-collectors? Our “Latin America Travel – The Best Souvenirs That Won’t End Up in Drawer” guide highlights the most iconic and souvenirs guaranteed to impress. We admit that when travelling, sometimes, it is simply easier to dedicate just a couple of hours of our last day to hitting a gargantuan tourist market and filling up a small suitcase full of fridge magnets, key-chains and snow-globes that glow in the dark. Because, really, who wants to waste time and money buying stuff for friends back home who may not even appreciate them? Yet considering that conscientious shopping is nowadays part and parcel of responsible tourism – need we really promote a market that solely exists on the basis of selling subpar trinkets that are guaranteed to spend the rest of their days hidden in a drawer? In a continent revered for its world-class textiles, its unique crafts and a mind-boggling array of authentic and culturally-representative treasures, buying meaningful souvenirs is super easy. 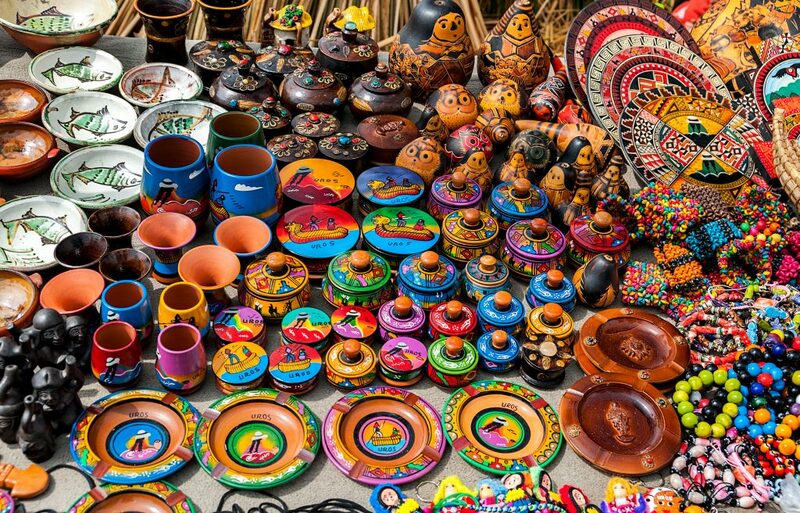 Souvenir shopping in Latin America is, in fact, so good that it can easily be considered the continent’s #1 attraction. So skip the ubiquitous 20-pack llama clip-on souvenirs on your next trip to Latin America and, instead, spend your money (and your precious travel time) on seeking out the best souvenirs guaranteed not to end up in a drawer. Whilst we’ve taken care to include only sustainable and responsible souvenirs on our list, we can’t possibly advice on products that are specifically regulated by the custom authority of your home country. Make sure you are well informed on how much alcohol and tobacco you can import and, of course, any restrictions on food or items derived from animals or plants. By and large, food (like coffee beans or jars of dulce de leche) are allowed in Australia as long as they have been produced in a factory and are still sealed but check with your government’s relevant websites before going shopping crazy. We’ve divided our favourite souvenirs into categories rather than countries, so you can swiftly discover the kind of goods Latin American countries are renowned for producing. Many of these souvenir categories are similarly shared among several nations (like alpaca clothing) although quite a few (like pottery) display distinct regional variations depending on where you buy them. When it comes to quality, all souvenirs can be found in varying levels of craftsmanship, from cheap-and-cheerful mass-produced goodies to one-of-a-kind, handmade gems. It reasons that you do get what you pay for; however, do note that Latin America is renowned for producing some of the world’s most prized wool, silver, pottery, textiles, and precious stones, so even the best-quality items still cost but a fraction of what you’d pay anywhere else in the world. Needless to say, you’ll want to pack super light when travelling to Latin America. And be ready for the inner struggle you’ll no doubt face: giving away all the glorious souvenirs you buy will be your biggest travel challenge yet! Nope, this is not clothing for your pet alpaca…we mean clothing made from the wool of alpaca! 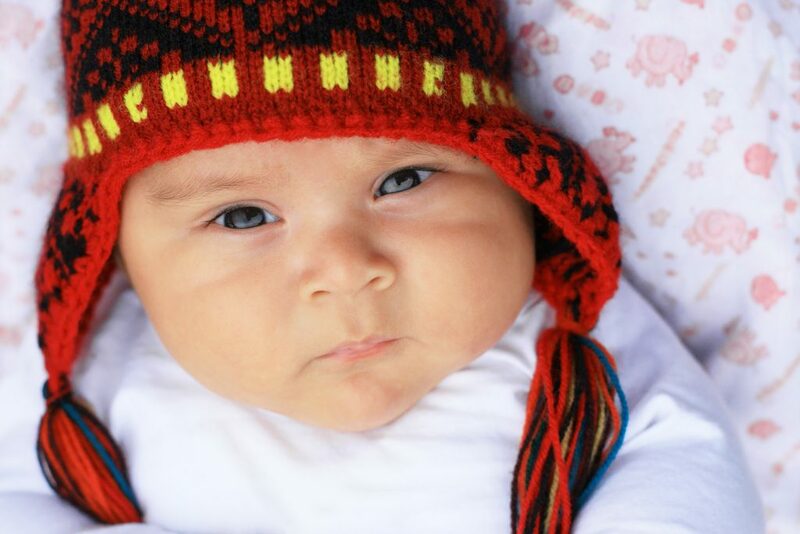 Clothing and accessories made of prized alpaca wool are the most popular and iconic souvenirs to buy when visiting high-Andean regions of Peru, Bolivia and Ecuador. Colourful, versatile and soft alpaca-wool clothing is the true calling card of Latin America’s Andes region and sold in markets all over the three countries, with special high-end boutiques found in all major touristed cities. Of these, Cusco (Peru) is considered the alpaca-wool-capital and certainly the best destination if quality alpaca-wool clothing is what you seek. Generally speaking, Peruvian alpaca clothing is the most vibrantly coloured whilst Bolivia’s is arguably the cheapest of the three. 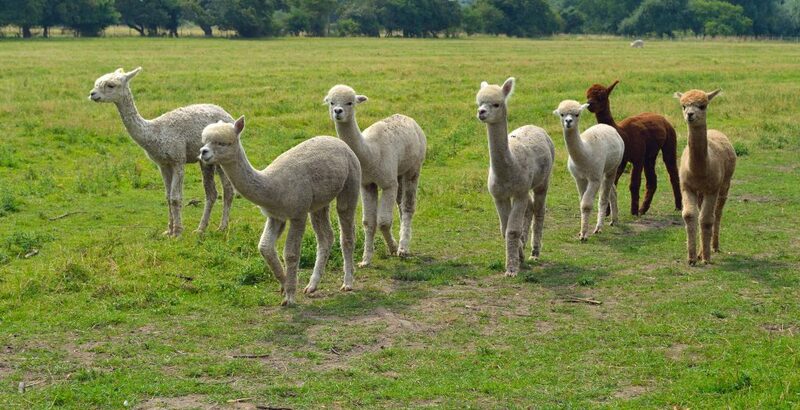 Ecuadorian-made alpaca clothing, on the other hand, tends to be found in earthier colour tones and, considering the country isn’t quite as obsessed with alpaca-wool as Peru, also tends to be marginally more expensive. The most common singular items to buy are sweaters, ponchos, capes, scarves, gloves and über-popular chullo hats, which will keep your ears nice and toasty at high altitudes. Buying yarns of high-quality alpaca wool is also a very popular option for those who love knitting or know someone who does. When it comes to quality alpaca-wool clothing, you’ll want to seek out dedicated retailers or trust a guide who knows the difference between 100% pure alpaca-wool and mixed-fibre items. 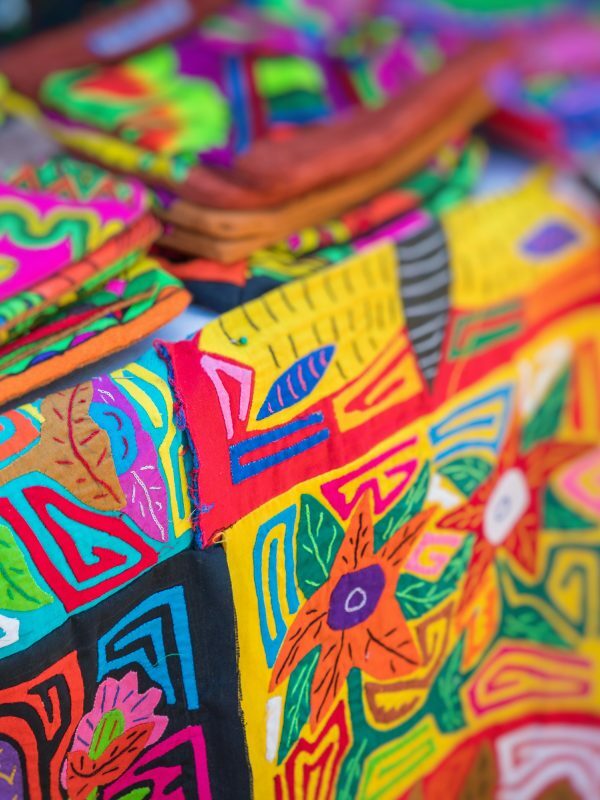 Textiles and tapestries are an absolute art form in Latin America and you’ll find dedicated shops in almost every country that’ll make you swoon with delight. Ancient weaving techniques and brilliant colours are used to create endless yards of fabric and signature pieces, all of which are guaranteed to brighten up your home and elicit travel memories for the rest of your life. We also find textiles and tapestries some of the most convenient souvenirs to take home: they take up little space (well, depending on how much you buy) and come in 1001 forms. Pillowcases, table runners, throws, wall rugs and blankets come in an array of thicknesses and fabrics, including soft alpaca wool and wool-synthetic mix. What’s more, each country showcases its own distinctive colour patterns and designs, lending each piece an extra injection of uniqueness. 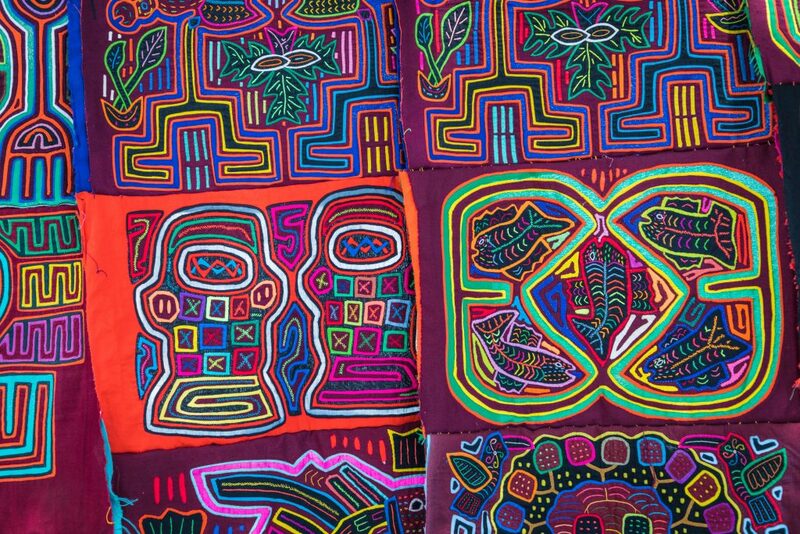 Look out for Huipil textiles in Guatemala, Aguayo textiles in Bolivia, geometric Molas in Panama, wonderful Otomi embroidery when visiting Mexico and exceptionally colourful textiles and tapestried in Peru. All the fabrics are also used to make belts and backpacks, which make for fabulous, multi-use souvenirs. 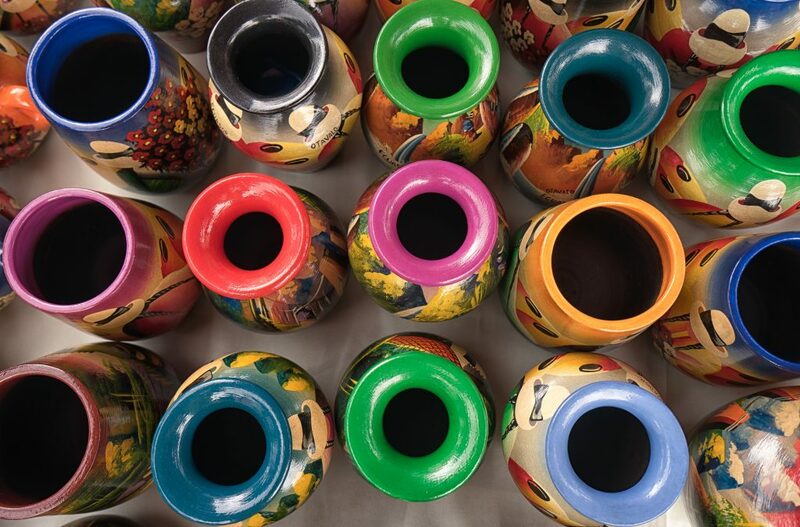 Terracotta pottery and glossy ceramics have been intrinsic parts of Latin American cultures since the days of the ancient Incas and the outstanding craftsmanship still thrives all over the continent. Beautiful vases, jars, pots and figurines, all showcasing distinctive designs and shapes, are among the most varied souvenir category of all. The most adored places for these kinds of ornaments are local artisan markets in Peru, Bolivia, Ecuador, Mexico and Guatemala, although each and every country can be said to showcase fantastic pottery that’s bound to add a splash of exotic colour to your home. The mountains of Latin America were famously mined for at least two centuries and local silver, in particular, continues to be a prized resource. 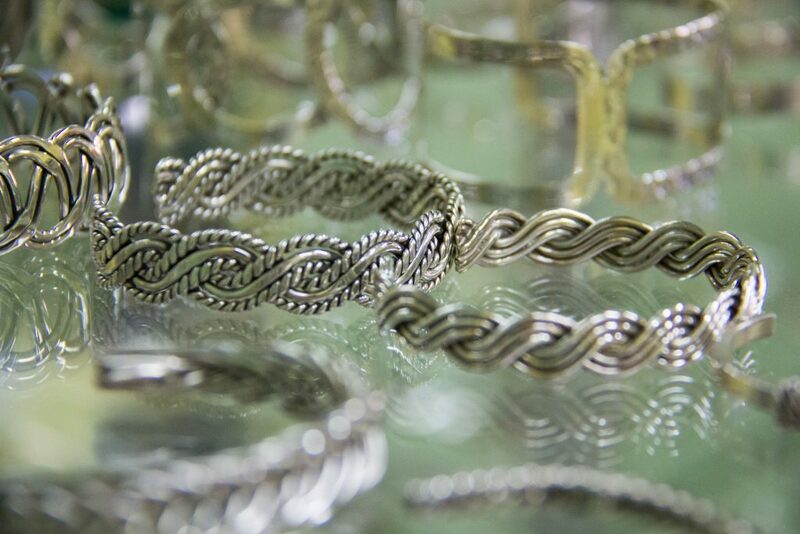 Beautifully styled, high-quality silver jewellery is among the favoured souvenirs to bring home from countries like Peru (Lima, especially), Mexico, Chile and Argentina. Combine your jewel piece with local precious stones (detailed below) and you’ll have yourself a beloved heirloom piece. 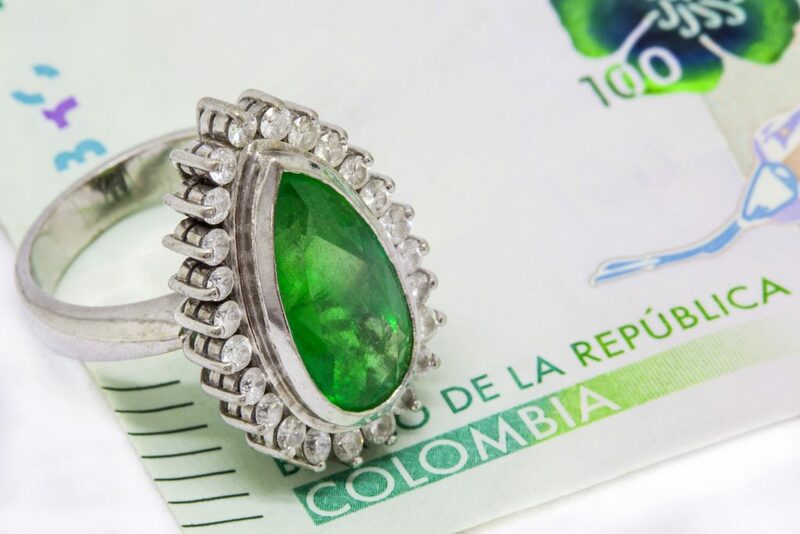 In case you didn’t know, gem traders travel to Colombia to purchase the best emeralds in the world which, in the largest producing country, also happen to be the cheapest. If you know what to look for, your options for purchasing precious and semi-precious stones are considerable, although, if you are, you would know that already! Other very popular stones to buy in Latin America include amethyst (Brazil and Bolivia) lapis lazuli (Chile, the largest producer in the world) amazonite (Brazil) sapphire (Colombia) aquamarine (Brazil) and topaz (once again, Brazil), among many, many more. 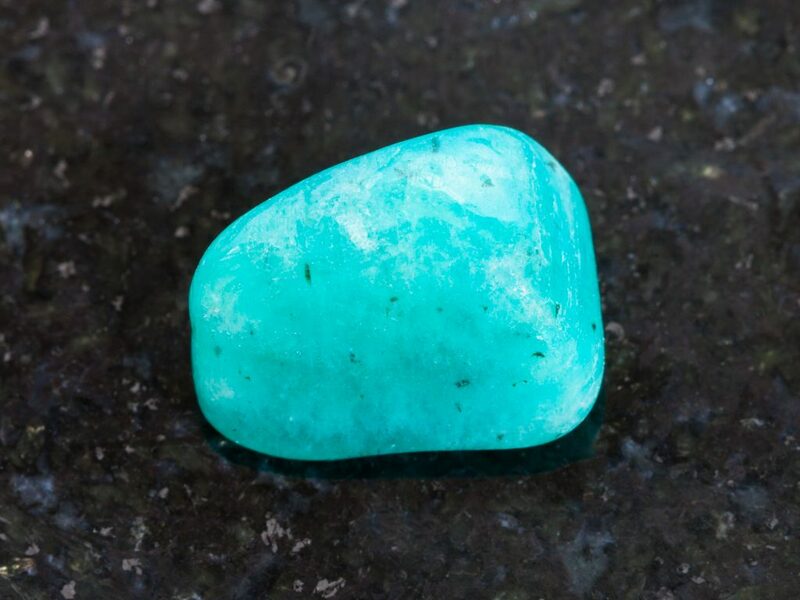 Check out this interesting list of gemstones from South America for more details. If there’s one aspect all Latin American cultures have in common, it would have to be a deep-seeded and passionate love of music. This is one of the most musical continents on earth, a place where catchy tunes waft from every street corner, in every restaurant and from every open balcony door. Brazil has its samba and Argentina its tango, all countries have their salsa and merengue and every single country, without fail, boasts its own unique musical instrument. 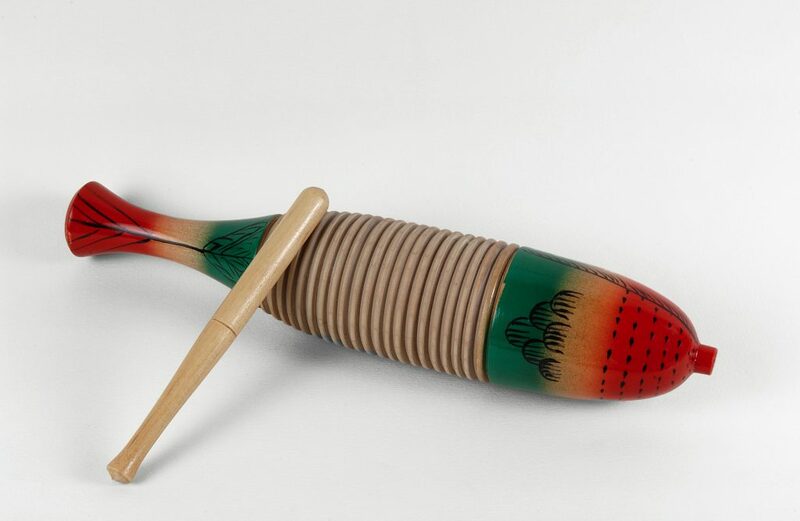 There are panpipes in the Andes and bongos in Brazil, you’ll find classical guitars in Argentina, banjos in Belize, mejoraneras in Panama and maracas, castanets and hand-carved guiros continent-wide, the latter producing one of the most distinctive Latin America musical sound of all. If music is in your blood like it is in Latin America’s population, then bringing home a quality instrument is an absolute must. If you prefer to eat and drink your souvenirs, rather than wear them, then you’re in luck! 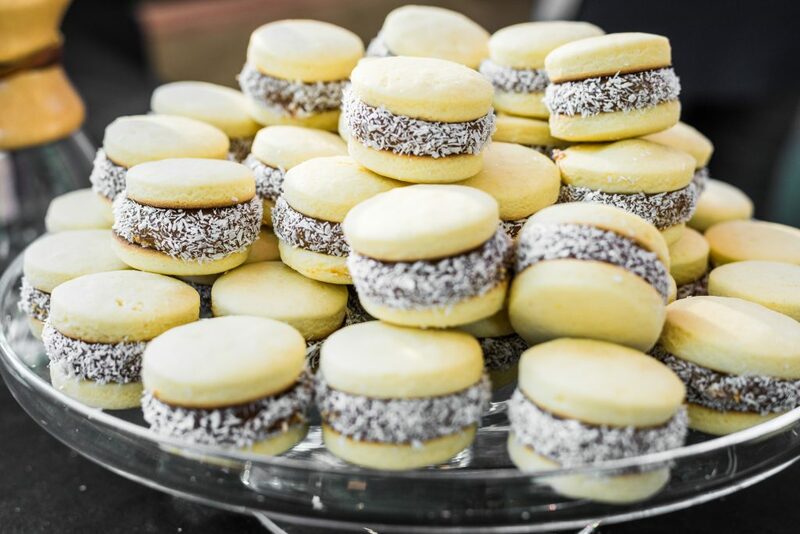 Only problem is: would a souvenir pack of alfajores really make it back home? It’s safe to say that delicious souvenirs are the ones least likely to end up in a drawer and that’s particularly true if you hone in on the very best treats and products for which this continent is so renowned. Bring home a flavour of Latin America and stock up on some of the most unique foodie items around. What to buy? Everything! From Pisco in Peru (so you can impress your friends with home-made pisco sours) to roasted coffee beans from Colombia, Costa Rica, Ecuador and Brazil, jars of creamy dulce de leche from EVERYWHERE, addictive Mapuche merquem spices from Chile, mate tea from Argentina, rum from Colombia and Cuba, not to mention sensational wines from Argentina and Chile, your options are nearly endless. In fact, we wouldn’t even blame you for contemplating ditching everything else in order to only fill your suitcase with yummy edibles. It matters not whether you’ll actually ever smoke your Cuban cigar: bringing one home and showcasing it on the mantelpiece is still a fantastic way to bring a piece of the country’s history and culture home. 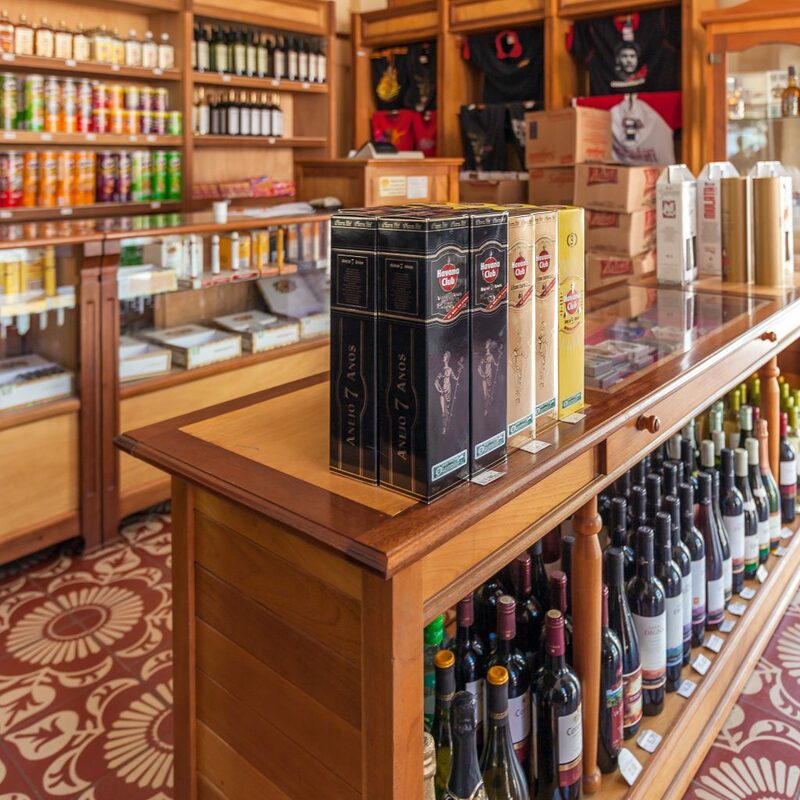 Visit a cigar factory when in Cuba and pay homage to a cultural practice that’s been thriving in the diminutive island for more than two centuries and stock up on a few items to give as presents to discerning friends. 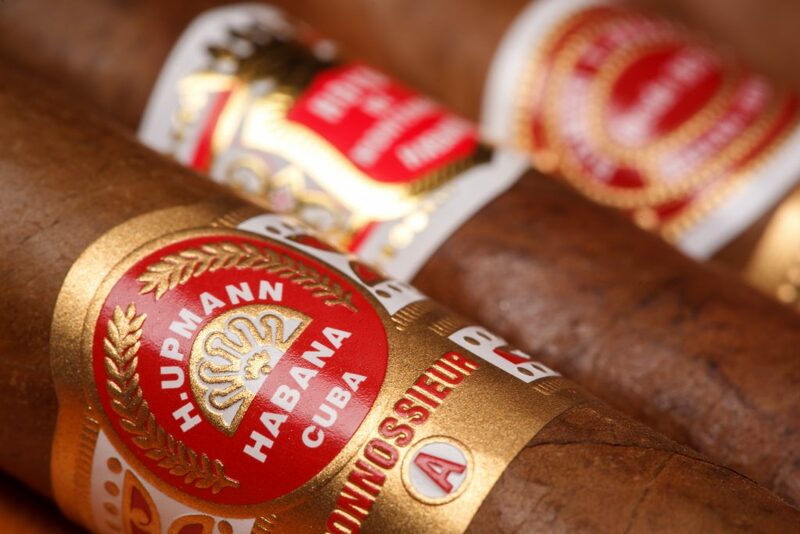 The finest brands to seek are Montecristo, Cohiba and Partagas. When it comes to world-class leather products, only one Latin American nation really stands out: Argentina. 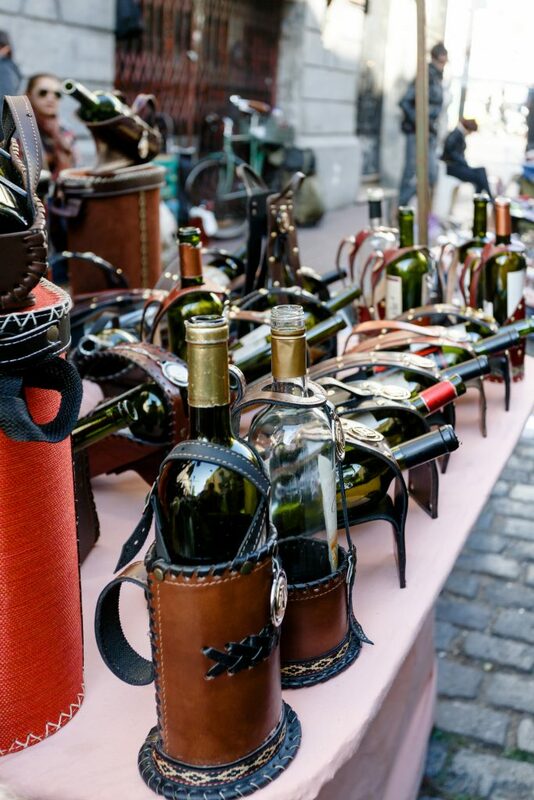 The capital, Buenos Aires, is revered worldwide for being among the best leather shopping destination in the world and here you can find quality handbags, jackets and shoes at a great price, although not nearly as cheap as it was just a decade ago. The craftsmanship of leather gear in Argentina is second to none and spawned by the country’s love affair with beef. Moreover, you can have your jacket, skirt or pants tailor-made in just a few days, particularly handy when you see something you adore but can’t find it in your size. Head to the leather districts of Murillo 666, between Malaria and Acevedo streets, as well as the pedestrianised section of Calle Florida. You’ll be hard-pressed to find more soccer-mad people than South Americans and, much like with cigars, you’ll need not be passionate about the sport yourself to appreciate the local’s obsession. Have a football-crazy friend? 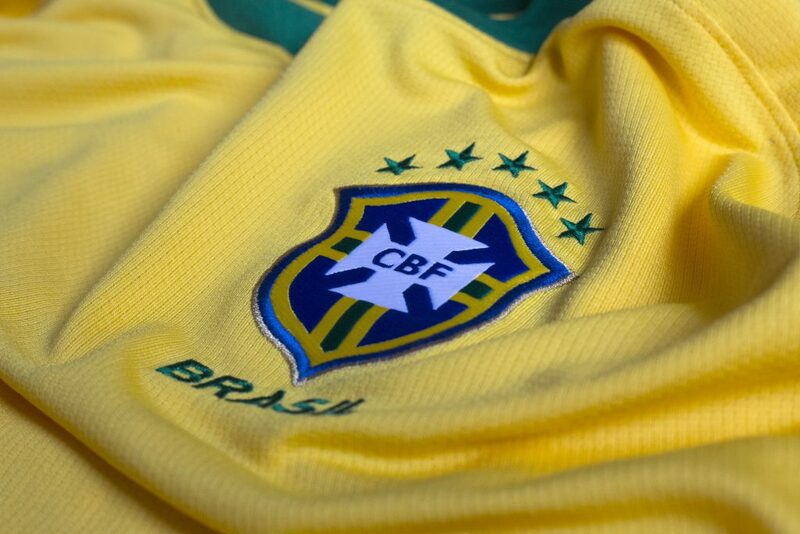 Then score endless brownie points when you bring home an original football jersey from the national teams of Argentina and Brazil, the two most popular choices. Unbeknown to many, the famous Panama hat originated in Ecuador and it’s here that you can buy the stylish chapeau straight from the factory. 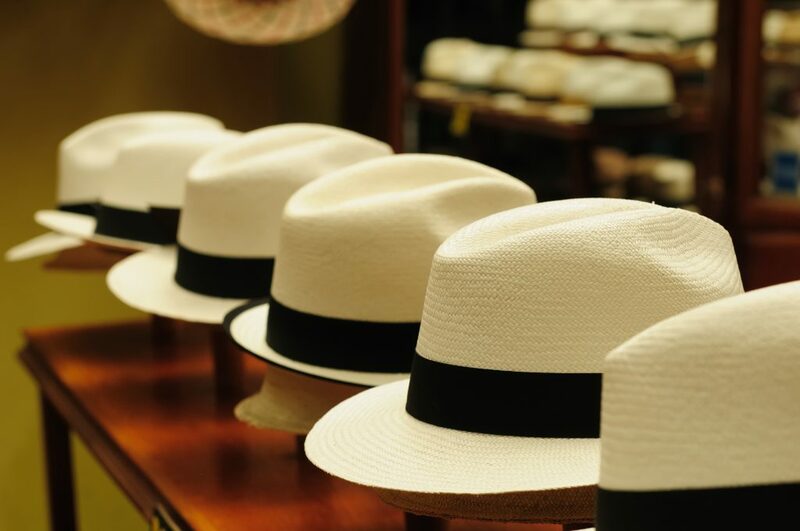 Read more about the origin of the Panama Hat right here. 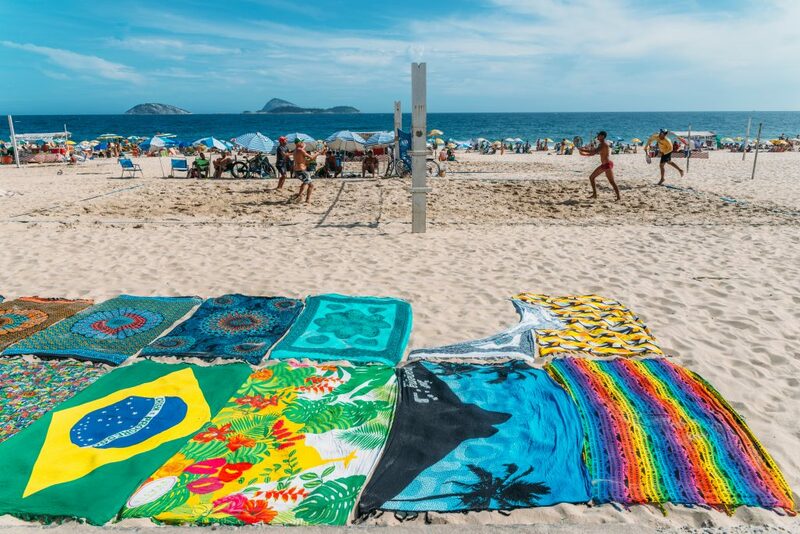 Forget those barely-there bikinis that never really fit anyone and, instead, bring home a vibrantly coloured beach towel, sarong or hammock from Brazil. Infinitely more useful (and no doubt more used) these glorious outdoor goodies are loved the world over. Argentinian’s love of mate tea can seriously compete with their love of football and this statement alone ought to tell you a lot. The bitter grassy concoction may not be everyone’s cup of, ahem, tea, but the vessel in which it’s served certainly will be. Unique gourds hand carved from wood, calabash, ceramic and even plastic (which you can skip) and their respective metal straw (bombilla) are among the country’s most beloved souvenirs and a wonderful way to bring home a piece of the local culture. 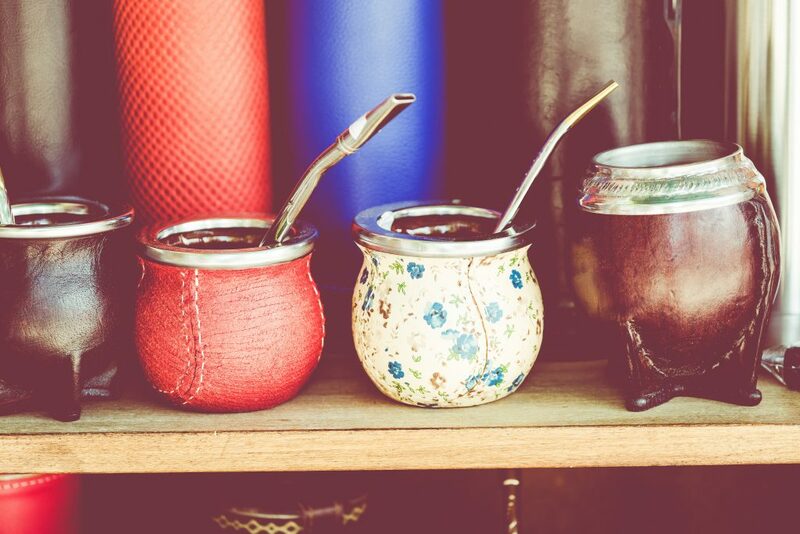 Paraguay and Uruguay are also mate-drinking countries, so check out their distinctive designs when planning a multi-country tour of Latin America. The only time in your life when you can acceptably show off your love of boobies is when you don an “I LOVE Boobies” hat bought on the Galapagos. One of the islands’ favourite wildlife residents, the Blue Footed Boobies, capture the imagination of all who visit, and the cute gimmicky souvenir makes for great giggles back home. For exceptional bespoke tours of Latin America on tailor-made itineraries to suit your tastes and budget, ChimuAdventures are right here to take your call. Looking to explore South America? This 21 day loop covers the best of Argentina, Brazil, Peru and a taste of Chile. Giving you an incredible taste of the continent.